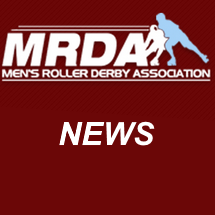 Officiating applications are now open for the European and North America MRDA 2019 Playoffs, and the MRDA Championships 2019. MRDA Playoffs are an exciting two day, one track events that will host the top 8 ranked MRDA teams from the regions and will be hosted by Granite City Brawlers and Mohawk Valley Roller Derby. MRDA Championships will be a three day, one track event featuring the top 12 MRDA teams and is hosted by Denver Ground Control. Further information regarding the event and applicant expectations is within the applications. MRDA Update – Southern Discomfort Investigation2019 MRDA Qualifiers – Announcer applications are OPEN!